Also, no Beatles jokes please. 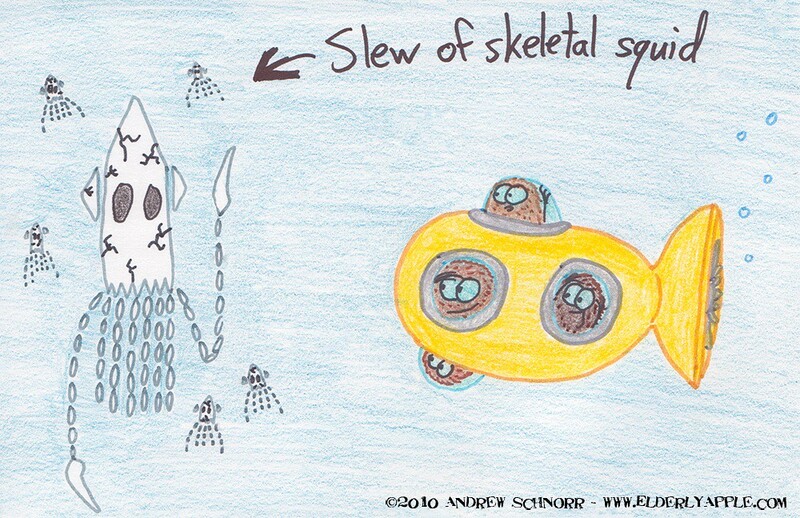 awwww, widdle bitty baby squid!...skeletons. and, in the laaaand, where i was- oh, wait. Yeah, beatles would have had exoskeletons. What do you mean not that kind of beatle? We all live in a Hmmm Hmm Hmmm Hmm Hmmm. Don't most beatles avoid water?